The definition of “tolerance” as “not talking about it” is indeed troubling, as it boxes religion within a private domain that actually breeds distorted perceptions of other religions. IMPLICIT in PM Lee’s mention of the imprisonment of the Christian couple over the distribution of contentious tracts during this year’s National Day Rally is the notion that Singapore’s heavy use of the law is the right way forward in maintaining racial and religious harmony. Charged under the Sedition Act, Mr Ong Kian Cheong and his wife Dorothy Chan were sentenced to eight weeks in prison each in June this year. (See here). The offense carries a maximum sentence of three years with a S$5,000 fine. But such measures are not enough to foster genuine religious harmony, as religious knowledge among Singaporeans are still found wanting. Besides the Sedition Act, the Penal Code and the Maintenance of Religious Harmony Act (MRHA) are other legislative measures that work as a multi-layered canopy of control to ensure that citizens behave and extremists are kept at bay. Also, any Mas Selamat wannabes out there who do not fear the above-mentioned laws will tremble at the spectre of the Internal Security Act (ISA), which gives the government a distinct upper hand in the arrest of dissidents as it allows for detention without trial. While the use of these laws has been successful in keeping the peace, we must question the sort of peace that is maintained in Singapore. After all, the peace of a dead and barren land can hardly be seen as positive at all. One side effect of using the law as the sole arbiter of religious harmony is ignorance. Proponents of freedom of expression will argue that censorship stifles self-enlightenment, as it deprives individuals of information they need to make a rational decision. Also, they will argue that by exposing individuals to hateful comments, it immunises them and allows them to develop the right response to racist remarks. For example, instead of reacting to insults with violence, one learns to shrug it off instead. The use of legislation by the Singapore government to control its citizens smacks of overt paternalism. It is like a father who canes his grown son with a rotan (cane) every time he does wrong, instead of treating him like a grown adult capable of making sound and rational decisions. At this point, I would like to clarify that I am not advocating for the immediate abolishment of the MRHA, ISA and Sedition Act, although I think modification of these laws are certainly long overdue. What I would suggest is an increased emphasis on religious education as a tool to combat religious strife. While Religious Knowledge was introduced in schools many years ago, it was taken down soon after for fear of increasing the religious divide. However, this should not discourage the Ministry of Education from considering the implementation of a modified form of religious education. Currently, Civics and Moral Education (CME) courses (which are compulsory for students) in Secondary Schools offer an overview of the various religious beliefs in Singapore. However, it has been pointed out that the course in CME is shallow, focusing too much on similarities without emphasising differences. There is also a special focus on respecting the beliefs and customs of different religious groups, but students do not go in-depth into the rationale behind the practices . It is no wonder with such an inadequate focus on religious beliefs, Singapore adolescents are found to display a shallow knowledge of their peer’s religions. In a 2004 research study in Singapore conducted among 2,801 students aged 12-18, it was found that 76 percent of students do not talk about religion. In fact, religion is seen as a “sensitive” issue, and should be avoided at all costs . Also, among the 16-18 year old category, it was found that 87 percent of youths have vague knowledge (or no knowledge) about Buddhism, followed by 82 percent for Taoism, 87 percent for Christianity, and 85 percent for Islam . The results indicate that much can still be done to improve religious knowledge among students. The definition of “tolerance” as “not talking about it”  is indeed troubling, as it boxes religion within a private domain that actually breeds distorted perceptions of other religions. For example, a Christian who is very active in church and hardly has time to interact with people of other religious persuasion will naturally develop a prejudice towards them. Such a proclivity towards silence when it comes to religion can be overcome if a more systematic curriculum is developed that allows students to explore questions of religion without bias. While the formulation of a balanced religious curriculum may be problematic, there is no reason why a new “Spiritual Education”  cannot be developed, which focuses more on questions of existence as opposed to specific religions per se. Students can then be encouraged to explore their spirituality through a research of different faiths without setting rigid religious boundaries. At the tertiary level, there is no reason why we cannot have inter-religious debates that focuses on specific points of disagreements. (In the US, such debates are common, as can be seen here. With the abundance of different religious groups in the universities in Singapore, such debates will serve as opportunities to foster inter-religious understanding without descending into hideous mud-slinging. The objective of such debates is not just to sharpen differences, but to increase understanding about each other’s faith. With 64 percent of adolescents here considering the Internet as their primary source of information about religion , it has become an imperative for educational institutions to educate the young on the right religious world view. Otherwise, we could be spawning our very own Osama Bin Laden in our backyards. PM Lee, in his rhetoric about the importance of religious harmony during the National Day Rally, has failed to attack the fundamental root of the problem — ignorance through the lack of knowledge. Religious harmony should not be strengthened by the iron hand of the law alone, but by softer measures such as education. Instead of giving an extended lecture on the merits of religious harmony, as the Prime Minister had done, and facing the risk of sounding like a nag, we should allow constructive disharmony to foster through education. The Singapore Constitution grants us our freedom of expression. There is therefore always an appropriate context to disagree and debate about religion, and that setting is found in schools and universities. 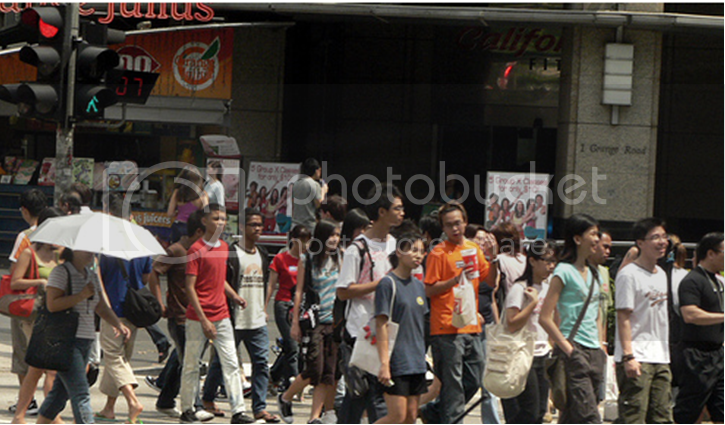 I implore the MOE and the government to take Singapore’s racial and religious harmony to the next stage of maturity. Tan, C. (2008). From moral values to citizenship education: The teaching of religion in singapore schools. In L. A. Eng (Ed. ), Religious diversity in singapore (pp. 325). Singapore: Institute of South-East Asian Studies. ,  Chew, P. G.-L. (2008). Religious switching and knowledge among adolescents in singapore. In L. A. Eng (Ed. ), Religious diversity in singapore (pp. 396). Singapore: Institute of South-East Asian Studies. Chew, P. G.-L. (2008). Religious switching and knowledge among adolescents in singapore. In L. A. Eng (Ed. ), Religious diversity in singapore (pp. 391). Singapore: Institute of South-East Asian Studies. Tan, C. (2008). From moral values to citizenship education: The teaching of religion in singapore schools. In L. A. Eng (Ed. ), Religious diversity in singapore (pp. 332). Singapore: Institute of South-East Asian Studies. Chew, P. G.-L. (2008). Religious switching and knowledge among adolescents in singapore. In L. A. Eng (Ed. ), Religious diversity in singapore (pp. 398). Singapore: Institute of South-East Asian Studies.